One of Germany’s most beautiful river valleys and geologically speaking, the most varied and interesting. The small tranquil River Nahe joins the Rhine at Bingen and all along the valley walls, surrounding the little villages, vineyards adorn the countryside. 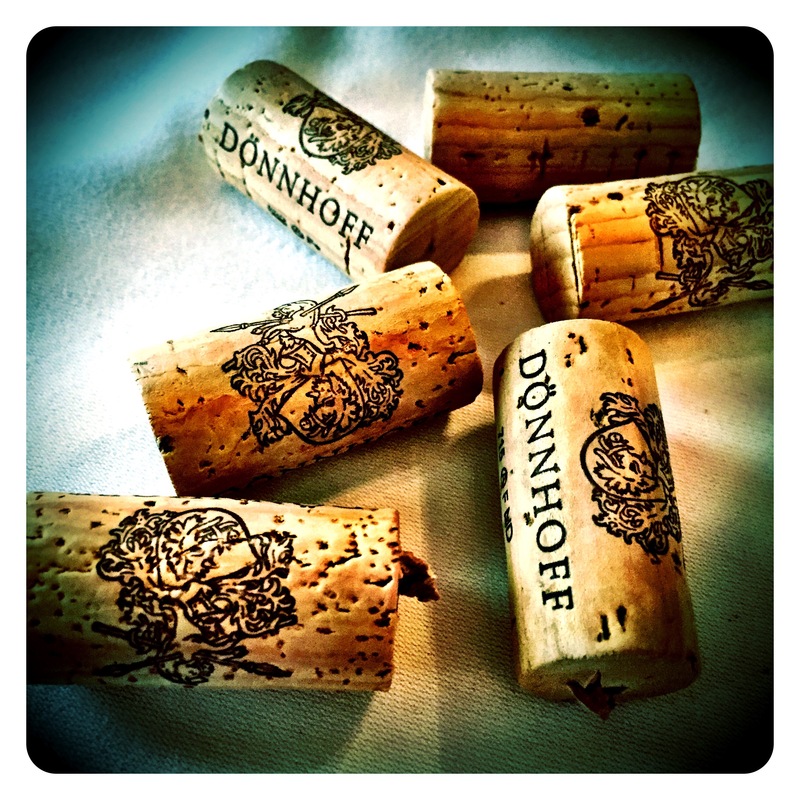 The vineyards of the Nahe were first classified in 1901 and there are now 4,202 hectares of vines with a ratio of 75% white and 25% red, forming 2.3% of annual German wine production. The Spring of 2016 started quite gently with pleasant temperatures and stable weather. However the rains arrived in May and continued to plague the vineyards, with the annual rainfall being equalled by late June already, and all at the critical flowering stage. Diligent canopy management was required until the rains finally stopped in July, ushering in a period of more tranquil conditions. The remainder of the summer was dry and bountiful, stretching all the way to the first day of picking on the 4th of October 2016. 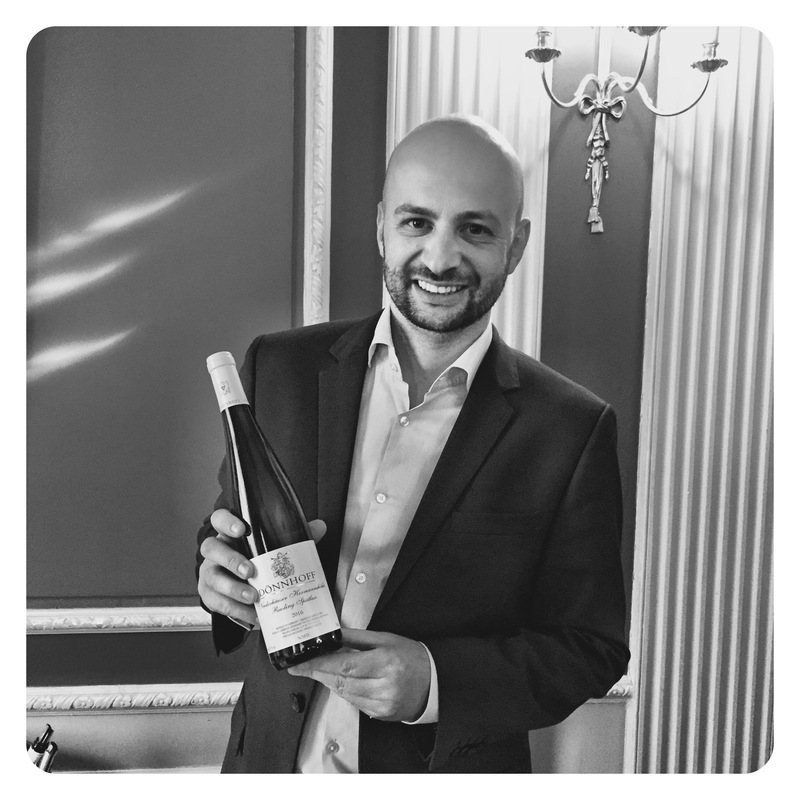 Tasting with Cornelius Donnhoff today, he confirmed that they consider their 2016 Rieslings to be of outstanding quality and very comparable in quality with their block buster 2015 whites, across all styles. 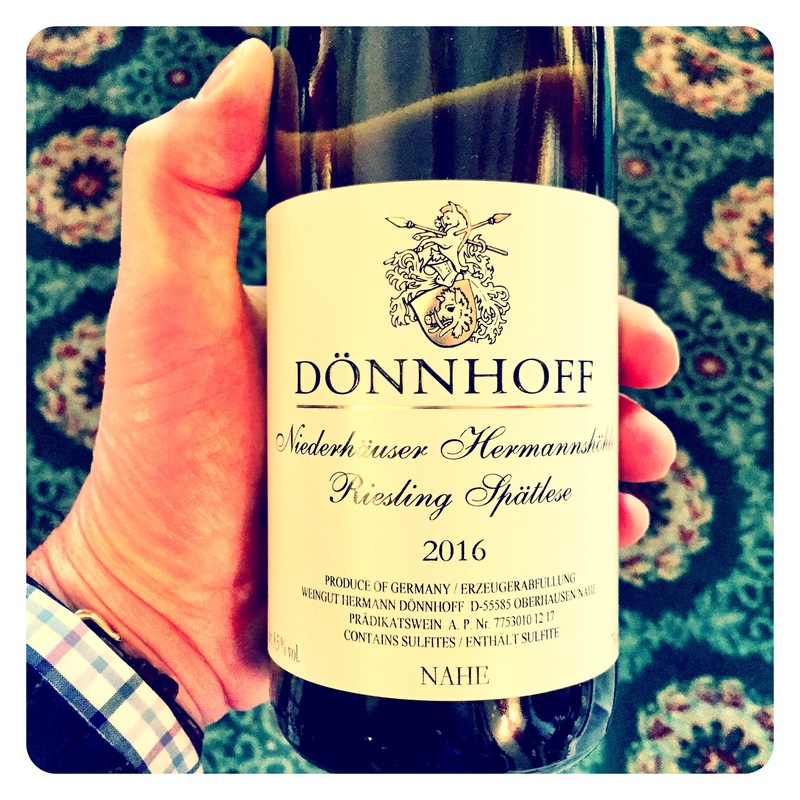 Donnhoff Niederhauser Hermannshohle Riesling Spatlese 2016, Nahe, 8.5 Abv. 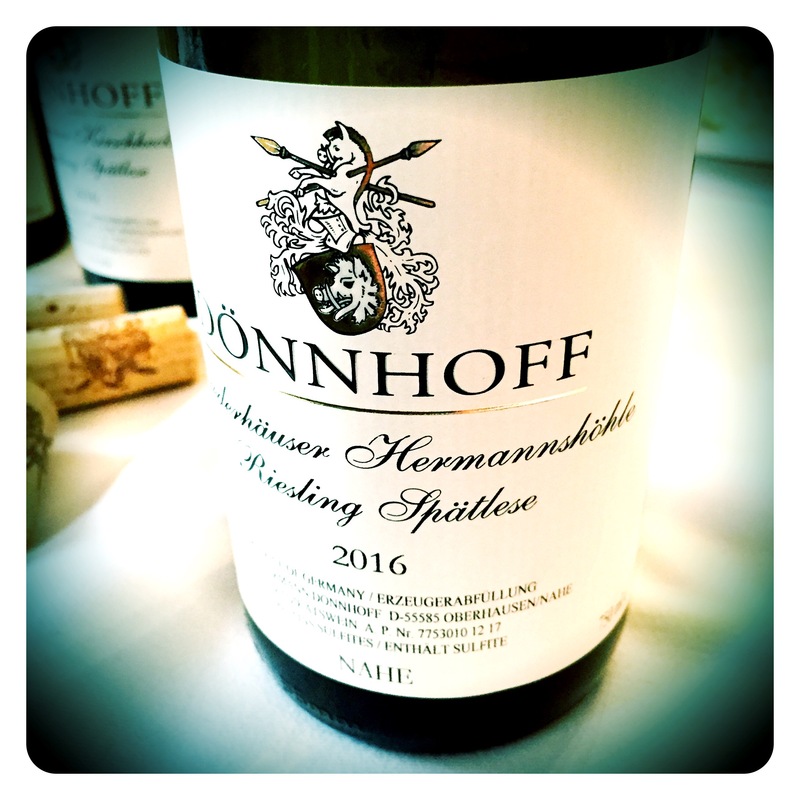 From one of the Nahe’s most incredible vineyards, the 2016 Hermannshohle reflects the rewards for great terroir and another wonderful vintage, showing concentration and fine, intense suave acids. The wine is still in nappies but is already showing the real class of a “Grand Cru” quality vineyard. The nose is vibrant and expressive, showing citrus bon bons, white peaches, citrus blossom, and waxy tangerine peel spice. 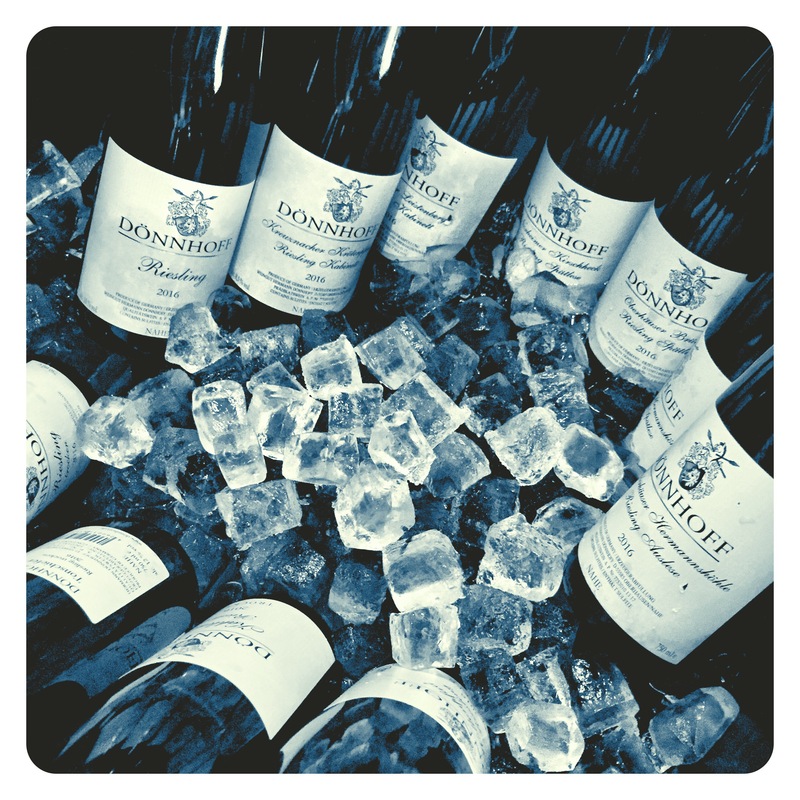 There are pretty wet slate notes to complement the pristine, crystalline fruits. The palate is rich, luxurious, and long, with incredible drive and intensity and a concentration of green apple pastille, crunchy white peaches, talc, musk, citrus oil and grey slate minerality. Such opulence, refinement and balance. Class personified. Young Riesling Spatlese from the Nahe, or anywhere, does not get much better than this!